I have all of next season’s breeding quail weighed and selected for size and color, and I was left with 30 young birds that didn’t make the cut. I put them up for sale at a discounted price but since laying season is coming to a close, there wasn’t much interest. Even despite the fact that with a little supplemental lighting they would lay well through winter. So I butchered some, and with the birds I had left, I decided to try a little experiment. I took a dozen of the mostly wild type and Tibetan colored birds and set them free near where they’d been housed. It’s a sheltered area at the back of the barn under a few large lilacs in my fully-fenced yard. I do have cats and dogs that roam around, and my cats do sometimes kill birds, so I was interested to see what they’d do. Luckily, there have been no issues at all. The cats and quail are used to seeing each other around and the quail just don’t run so the cats don’t bother to chase. The dogs have also left them completely alone. 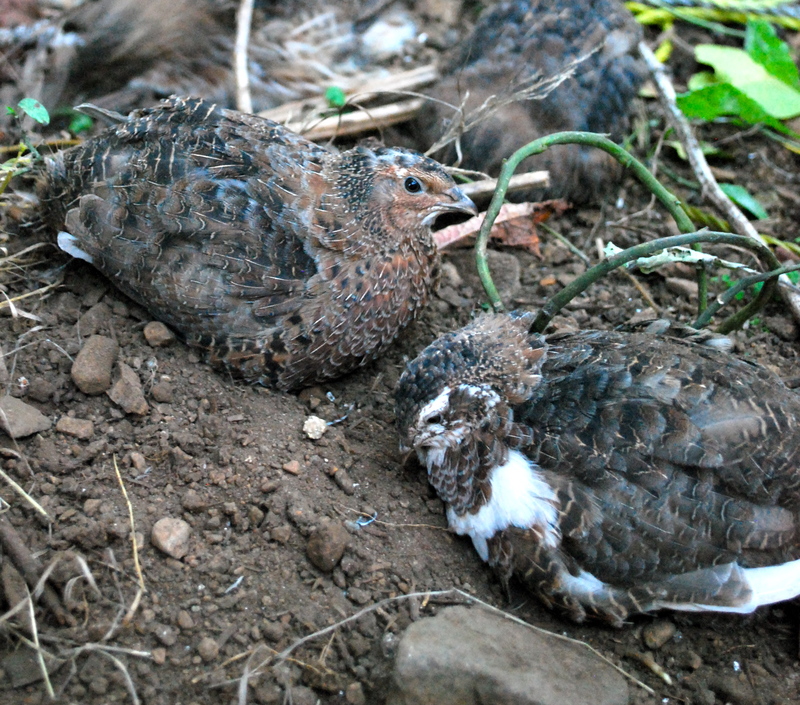 The quail seemed very happy to be free, and immediately started dust bathing like their lives depended on it. I had to make sure not to step on them as I walked around the yard because they blend in so well and had no fear of me. I set up a little food and water station for them which they haven’t used much. This morning I woke up and they were all over my compost pile, happily scratching away in the sunshine. Most of them are still hanging around the same area they were released from after 24 hours. I’ll be very interested to follow their progress and see how they do over the winter. This entry was posted in coturnix quail and tagged free ranging coturnix quail, wild coturnix quail. Bookmark the permalink. That is so neat!!! 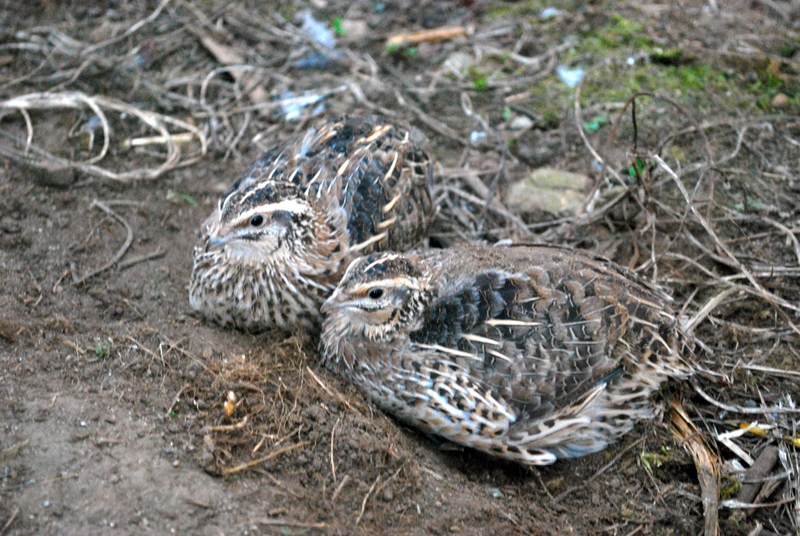 My cotornix quail are just so lazy right now that I can’t imagine them scratching in the compost pile! I think they will eventually perk up after they get used to the routine here. We just picked them up a few days ago. Good luck on your free range quail! !